This blog post was created in partnership with André Burrell who is the Banking & Capital Markets Strategy Leader on the Worldwide Industry team at Microsoft. The ability to assess a transaction in the context of the customer, and of similar customers. The agility to react and adapt to rapidly evolving patterns used by money launders or terrorists, with minimal human intervention. The ability to clearly understand why a transaction is identified as possibly suspicious. Additionally, banks continue to struggle with a 360 view of their customers, they have difficulty accessing the rich transactional data sources held in multiple data silos, aka “dark data”. Without the 360 view, banks are unable to quickly, easily, and reliably conduct deep data analysis, e.g. identifying truly suspicious activity, assess customer profitability, or identifying negative trends early. And they cannot establish compliance and risk monitoring systems that adapt to changing regulatory requirements. What’s been the main driver for even having this discussion? Regulation, the heavy legal requirements for AML arise from the Bank Secrecy Act (BSA), additionally modified by numerous other regulations for example, the USA PATRIOT Act. These regulations are intended to stop the conversion of illegal proceeds (or value) into seemingly legitimate money. Or to prevent the use of legitimately obtained value to fund illicit activity (money laundering). The scope of what must be identified is broad and ever growing. Banks are required to investigate, and report suspected money laundering, terrorist financing, or any violation of law to the Financial Crimes Enforcement Network (FinCEN)1 and other agencies. Unfortunately, the antiquated TMS technology generates false positive alerts typically in the range of between 95 percent and 98 percent. Why should such an inefficient use of resources continue to be accepted? AML costs across the banking industry due to this regulatory blunt force approach, has resulted in massive inefficiency and high operating costs for banks. It is commonly reported that costs being incurred by banks in the areas of transaction monitoring and operations are escalating due to inefficiencies and resource capacity issues within AML departments. AML can be the most costly area of compliance in a bank and one of the most expensive operational areas. 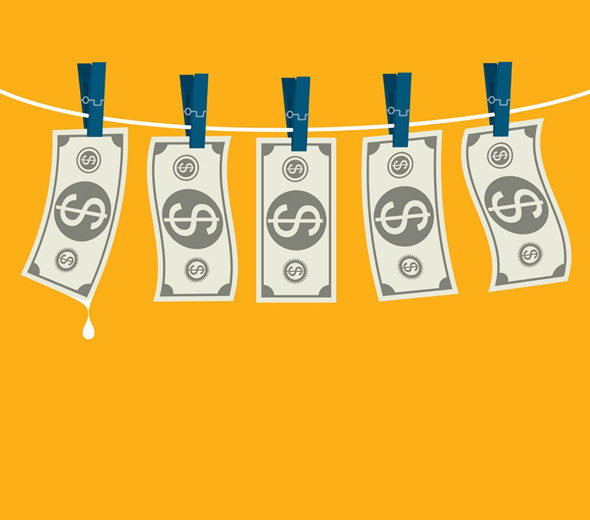 On the other hand, the cost of non-compliance can easily exceed the cost of operating an AML department. So, banks are left operating inefficient and costly systems. This makes TMS technology ripe for disruption through the application of machine learning (ML) and artificial intelligence (AI). Over time, as algorithms improve, the false positive rate will continue to decline, driving significant cost reductions to operations. ML and AI can quickly flag changes in patterns of activity, whether caused by new product offerings or money laundering. Such savings and improvements in the ability to meet increasing regulatory demands should provide banks with the incentive to move AML regulatory workloads to the cloud and accrue additional value. It should also make banks more interested in moving other workloads to the cloud. It's not all doom and gloom for banks. These seemingly insurmountable problems can be addressed with cloud technologies. We believe this will cause a huge disruption in the existing AML risk and compliance industry. Lots of players feel they have the answer to reducing false positives, but we’ll let the future speak for itself. So, where can you get started to cut through the overwhelming amount of information, and to provide a path for your company to start? Identity Proofing with the Behavioral Biometrics solution from BioCatch can be the place to start - by mapping these behaviors in real-time throughout the initiation process, behavioral biometrics pick up on suspicious behaviors, alert the company that possible fraud is in the works and provide an immediate recourse to prevent a potentially fraudulent application from going through. Stopping fraud means shutting cybercriminals down at the application stage. Identity proofing with behavioral biometrics eliminates our overreliance on easily-acquired personal credentials. Also, stay tuned for the next episode in our blog series that will provide more robust discussions about solving for financial crime. In the meantime, if you would like to engage with the authors on this topic, feel free to reach out via the comment section.